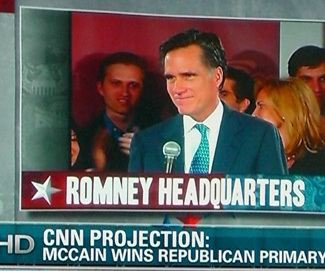 If there is something good that comes out of this primary season, it’s that Mitt Romney might be beaten back to Utah. Though he served as Governor in the toughest political state in the nation, for which I think even the most liberal Democrat must give him credit for, his entitlement to this presidency has been probably the most irksome quality that I can remember in a politician. Coming in second in both Iowa and New Hampshire, Romney’s slowly sinking ship is taking on more water. Competitors like McCain and Giuliani have had a 50-state tactical outlook and are going to make this even worse for the Mittster. With 20 states on Super Tuesday, I don’t know if this campaign has legs beyond the first contending states, much less making his message resonate in larger states like Florida.